Designs and Manufactures the Most Advanced, Reliable, and Compact Self Actuated Valves for Temperature Control. A nonprofit organization dedicated to promoting and enjoying barbeque, is the world's largest organization of barbeque and grilling enthusiasts with over 15,000 members worldwide. Everyone who loves Barbecue! From backyard cooks to professional restaurantures and caters, a melting pot of all people united by love of BBQ. Non-profit corporation with the sole purpose of promoting the art of slow cooking known as barbecue though education, promotion, and barbecue competitions. Worlds number one publication dedicated to the sport of BBQ. Get Spun with Dizzy Pig! All natural fresh ground barbecue rubs and seasonings with no msg. Competition team and bbq spices. 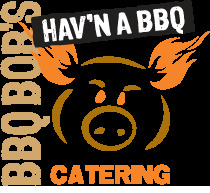 Award winning BBQ, from drop off food trays to full service catering. The Big Green Egg is created from advanced ceramic materials with a lifetime warranty and is widely acclaimed as the best kamado-style cooker in the world with legions of fans (known as EGGheads) in over twenty-five countries. Barbecue grills, sauces, roasters, smokers, seasoning and accessories. Backwoods Smoker, High Quality BBQ Smokers For Any Level of Expertise. Devoted to the design and construction of the finest possible BBQ units for smoking and grilling. Your source for hard-to-find ingredients and home of FAB BBQ marinades - The Choice of Champions.